I found this narrative called The Plan years ago, when speaking on planning. It uses Genesis, chapter one, and changes the words quite a bit. Read on. And the Directors spoke among themselves, saying to one another, ‘It contains that which aids plant growth, and it is very strong.’ And the Directors went unto the Vice Presidents, saying to them, ‘It promotes growth and it is very powerful.’ And the Vice Presidents went unto the President, saying unto him, ‘This new plan will actively promote the growth and vigor of the company, with powerful effects.’ And the President looked upon the plan, and saw that is was good. And the plan became policy. And this, ladies and gentlemen, is how poop happens. That’s quite a narrative, isn’t it? Sorry for the use of the word poop but I aim for real life in this column. It’s interesting how some plan or idea is the wrong way to go to the people in the trenches who must deal with it, given time and other people's assumptions higher up who want to please or influence others, can develop a narrative that is totally contrary to the original plan. And thus, begins the decline of the organization. Hint: If it waddles like a duck, quacks like a duck, and has an orange bill like a duck, it’s probably a duck. You can call it an eagle if you want but that doesn’t change the fact that it is a duck. The results will be duck-ish, not eagle-ish! In the beginning, God has a plan. 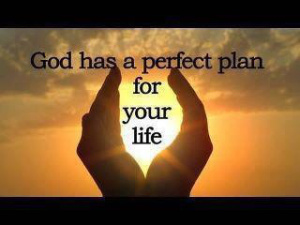 You and I are included in His plan. Rick Warren states God’s plan perfectly in his book, The Purpose Driven Life. We were planned for God’s pleasure (worship). We were formed for God’s family (church). We were created to become like Christ (Christlikeness). We were shaped for serving God and the community (servanthood). We were made for a mission (purpose). Mark 12:30 sums it up perfectly, “Love the Lord with all your heart, soul, mind, and strength and love your neighbor as yourself.” Love God…Love Each Other inside the walls of the church and Love Your Neighbors outside the walls of the church. God didn’t want Christians to just be believers. He wanted Christians to be ‘belongers’ in our church and community. Mark 12:30 was God’s plan in Genesis. Then came the assumptions. First it was a fallen angel named Lucifer. His famous line, “Hath God said…?” started the downward fall of man. Then God’s crowning creation started wondering and questioning. More conversations, more assumptions, more pundits, more directors and experts, and voila,’ poop happened. Pretending ‘it’s working’ takes over the reality of ‘it’s not working’ in the name of progressive thinking. The stink is evident to all but the ones steering the ship. Perhaps the reason some people know the solution is because they created the problem. In the beginning was the plan, then came assumptions.